It was a busy three days for Buffalo Bills’ general manager Doug Whaley as the NFL conducted its’ annual draft of college players this past weekend. The team’s new GM pulled off a number of trades, the biggest one being the deal that allowed the Bills to move up in the first round to grab one of the players considered to be the “Elite Six” among NFL scouts at the top of the draft – wide receiver Sammy Watkins. There were also a couple of deals in later rounds where the Bills moved down, and added an extra seventh round pick and extra picks next year. Whaley also made trades involving players, picking up a promising young running back from the Eagles – Bryce Brown, and trading the club’s top receiver, Stevie Johnson, to the 49ers almost immediately after drafting Watkins. I’m not sure I understand this deal. Johnson was supposedly dealt to remove the distraction of his negative attitude from the locker room. Although you could make an argument that Johnson was a diva, and had a drop for every great play during his stay here, his attitude surely wasn’t a big deal. His biggest transgression was lifting up his jersey to reveal “Why so serious?” and “Happy New Year” messages on his undershirt after scoring touchdowns. So you ship him out the door, but add Mike Williams to take his place, a guy who trashed his apartment complex in a gated community and broke down the door of his girlfriend’s apartment in a domestic dispute? It doesn’t make sense to me, and it’s disheartening that instead of stockpiling good, productive players to build depth on their roster, Buffalo always seems to feel the need to dump good players when they think they’ve found their replacements. Their track record for those “finds” isn’t very impressive. The acquisition of Brown, and free agent signee Ricky Dixon, worries me, since it seems to imply they may have plans to move Fred Jackson and/or C.J. Spiller. 1. Sammy Watkins (WR – Clemson) – Whaley mortgaged part of the team’s future to move up and draft Watkins, but he is easily the best offensive player available this year, and the team is in desperate need of dynamic playmakers. All signs point to him being a difference-maker in his first season, and a major weapon for QB EJ Manuel for years to come. Whaley showed guts in making this move – the Bills needed to do something to break the pattern of mediocrity they’ve been stuck in for over a decade. 2. Cyrus Kuoandjio (OT – Alabama) – the Bills started a much-needed revamping of their offensive line with this pick. Kuandjio, born in the African nation of Cameroon, should immediately take over the starting right tackle spot currently held by Erik Pears. A standout tackle at ‘Bama, he fell this far in the draft because of concerns over arthritis in his knee. He’s a first round talent if he stays healthy. 3. Preston Brown (LB – Louisville) – he’s a good run stuffer, which the Bills need badly, and projects as an inside linebacker. He’ll be on the depth chart as a backup to newly-signed free agent Brandon Spikes, who only signed a one year pact, so the opportunity will be there for Brown to crack the starting lineup eventually if he’s motivated. 4. Ross Cockrell (CB – Duke) – his biggest positive traits are intelligence and consistent play. Since he’s a cornerback, in my mind the only thing that matters is can he cover anybody, and make plays on the ball when it arrives, or his he just another mediocrity who runs around looking lost in the secondary? Time will tell, but if the kid can play there’s always room on NFL rosters for coverage corners. 5. Cyril Richardson (OG – Baylor) – Richardson is a New Orleans native who moved to Texas after Hurricane Katrina, and wound up at Baylor. At one time he was considered one of the top offensive line prospects in the nation, but gained a lot of weight which slowed him down. He did slim down and supposedly looked good at his pro day. If he shows up to training camp in shape and serious about playing pro ball, and somehow regains his top form from his early college days, Richardson can be a road grader at guard who helps the Bills’ run game. If he can show any ability at all as a rookie, he should be a candidate to start immediately at the guard spot currently held by Doug Legursky. 7a. 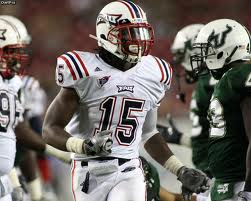 Randell Johnson (LB – Florida Atlantic) – he projects as an outside backer with good size and speed, and is highly athletic. 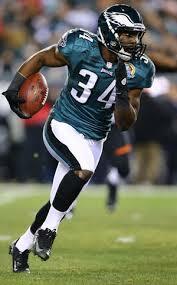 He’ll likely be a developmental project who either contributes on special teams or winds up on the practice squad. 7b. 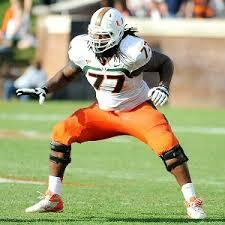 Seantrel Henderson (OT – Miami of FL) – this pick is kind of a head scratcher. 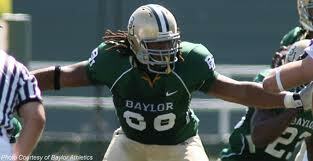 He is massive, with long arms and all the physical tools to be an outstanding tackle in the NFL. At one time, he was the top offensive lineman prospect in all of college football. However, his career was marred by benchings and suspensions, and on his “pro day”, the post-combine day where the prospects at each school are supposed to impress the scouts, Henderson was out of shape and stopped his workout before it was over, announcing that “I’m not doing this anymore.” Not to beat a dead horse, but Doug Marrone figures he can resurrect this guy’s career, but Stevie Johnson’s “attitude” was too much for him to handle? As of this post, the Bills hadn’t announced any college free agent signings. Maybe the Bills decided to trade Stevie Johnson because they were afraid he might have had a problem sharing the limelight with Watkins – a promising young star.